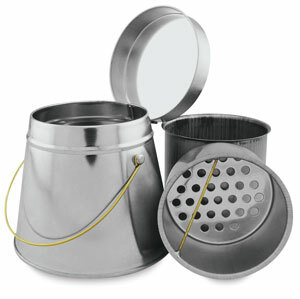 This basic tin brush-washing canister has a lid and a handle for convenience. It measures 2-5/8" Dia at the top and 3-1/2"Dia at the bottom. It stands 3" high.